For safety reasons we ask everyone to comply with the dress code policy in the Metals Department: Closed-toe footwear (no high heels), pants/shorts must go below the knee, long hair must be pulled back from the face and secured. Please dress for mess and be ready to have fun! The Metals Studio is full of amazing tools and materials! 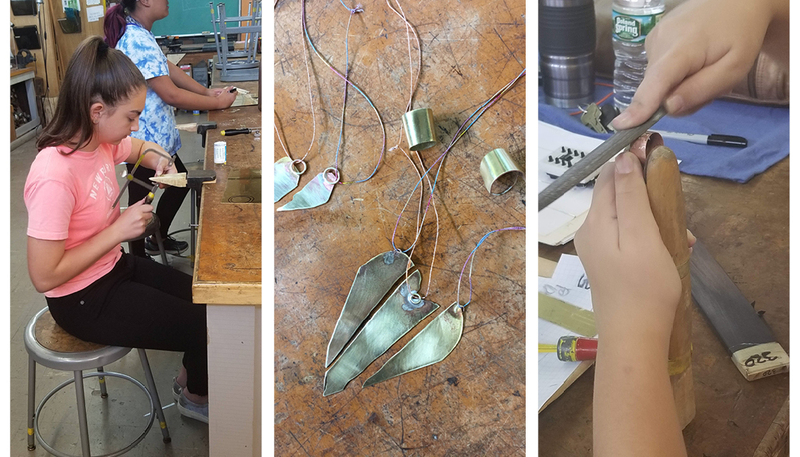 Learn to use these specialized tools and techniques of metal working such as sawing, filing, soldering, and more to design and create your own jewelry and small sculptures. Open to beginning and continuing students, returning students will be encouraged to continue building their skills while working on new and engaging projects.